Since its creation in 1993, the Peruvian private pension system (PPS) has gained importance at a national level. In 2017, all the investment companies within the PPS, which are otherwise known as Administradoras de Fondo de Pensiones (AFP), managed a total of approximately PEN 140bn ($43bn) in assets. This figure represents 20 percent of Peru’s GDP and 40 percent of savings in the financial sector. It’s a substantial increase from recent times; in 2000, for example, the PPS managed around PEN 40bn ($12bn), or five percent of GDP. Given its importance, the PPS is subject to strict regulations and limits, which are aimed at mitigating agency problems and controlling risk, both at the systemic (macroeconomic) and idiosyncratic (microeconomic) levels. Specifically, the regulation imposes limits based on asset class, economic sector, group or entity, and by issuance, among other variables. In addition, foreign investments by the PPS are constrained by the ‘operative’ limit fixed by the Central Reserve Bank of Peru, with a maximum given by the ‘legal limit’ established by Congress. Nowadays, the operative limit is 48 percent, while the legal limit is 50 percent. This situation implies that the central bank has a narrow margin before the operative limit hits its legal maximum. One of the main benefits of increasing the limit to foreign investments is the gains that can be achieved from the diversification of risk. Almost 20 years ago, the PPS’ limit to foreign investments was around 10 percent, and so it mainly held local assets. In such a situation, the diversification of risk was accomplished by a set of limits (otherwise known as ‘ceilings’) on asset classes, economic sectors and individual entities. As those limits were reached, the PPS portfolio approached the composition of the market portfolio. Under these circumstances, if the economic situation in Peru had deteriorated, then the PPS’ returns would have deteriorated as well. Therefore, the only way to diversify that risk was through the elevation of the limit to foreign investments. In other words, thanks to the increase of the limit, the PPS’ portfolio acquired exposure to factors that differ from those affecting the Peruvian economy. Nonetheless, given the size of the Peruvian economy at the global level, a 50 percent limit still exposes the PPS to significant risk. This means that the potential gains from diversification, although lower than in the past, are still substantial. Three types of risks are diversifiable: first, risks related to fluctuations in the international prices of minerals (Peru’s main export); second, risks caused by domestic economic and political conditions, which includes issues such as corruption and political instability; and third, risks caused by natural phenomena, such as the El Niño-Southern Oscillation and earthquakes. Peru’s geographic location exposes the country to significant disaster risks, which can have severe and persistent economic and social effects. In the past, the elevation of the limit to foreign investments has not only diversified risk, but has also allowed the PPS to attain higher returns. Given its increasing size (as explained by a relatively young population and a growing economy), the demand for financial assets by the PPS has outpaced the local supply. This situation, combined with the aforementioned regulatory limits and relatively illiquid local capital markets, can deteriorate the long-term returns of the PPS. For instance, in 2000, when the operative limit was only 7.5 percent, the percentage of PPS funds invested in local liquid and safe assets (such as deposits and central bank certificates) was around 25 percent. A similar situation occurred in 2013, when those assets represented around 10 percent of the PPS’ funds and the operative limit was 34 percent. If the limit to foreign investments were not elevated, a substantial share of the PPS’ funds would have been trapped in assets with low long-term returns. Unfortunately, even at the current limit of 50 percent, it is not possible to rule out such an outcome in the future. Increasing the legal limit provides additional tools to mitigate monetary and financial instability. 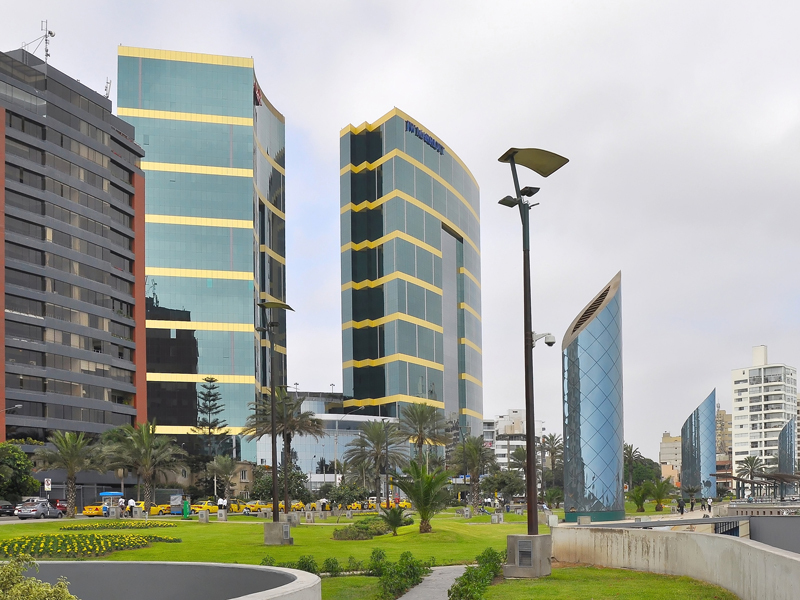 Given the limited depth of Peruvian capital markets, foreign capital flows can exacerbate the fluctuations both of Peru’s foreign exchange rate and of other financial assets. In response, the central bank has tended to elevate its operative limit in moments of abundant foreign capital inflows. As such, the central bank has eased the extreme volatility of demand for local securities and, hence, it has avoided their overvaluation. Therefore, the elevation of the legal limit to foreign investment gives the central bank the option to lean against the wind of capital inflows, without using its international reserves. If the legal limit is not increased, the international reserves management of the central bank will bear the burden of foreign capital inflows, which in turn could increase the fiscal cost associated with their sterilisation. The elevation of the limit to foreign investment will neither limit the local supply of funding nor endanger the development of Peruvian capital markets. First, given its financial integration into the rest of the world, the Peruvian economy has access to foreign financing sources that can substitute local ones. Second, the external limit is a ceiling, not a floor, to foreign investments, and thus does not restrict the repatriation of funds by the AFPs. In fact, in periods of financial turmoil, during which non-residents suddenly and unexpectedly withdrew their funds from local markets, PPS managers (together with other institutional investors) increased their appetite for local securities. For example, as a result of the volatility in international bond markets in 2013, the participation of non-residents in the holdings of Peruvian government bonds went from 70 percent to 57 percent in just one year. Third, for reasons already explained, the previous increments of the operative limit have not threatened the capacity of the PPS to invest locally. This includes investments into projects that are a priority for Peru’s ongoing economic development, such as transportation infrastructure. Finally, international evidence indicates that the policies aimed at developing a deep and efficient capital market have nothing to do with keeping institutional investors captive locally. The operational limit to foreign investment by the PPS has now come close to its legal maximum. This means that the investment opportunities for the Peruvian PPS will soon be constrained. As a consequence, the risk-adjusted returns of the PPS will be impaired. Moreover, the central bank will lose an additional tool with which it can lean against foreign capital inflows. Given these factors, it is therefore advisable to increase the legal limit. It is worth noting that doing so will not jeopardise either the local supply of funding or the development of capital markers, as long as the central bank progressively adapts its operative limit to the new legal maximum. Politically, it is clear that the key player in this important reform is the 130-member Congress of the Republic of Peru. With its support, the PPS can keep developing – to the benefit of Peru’s growing economy, as well as its investors, both near and far.